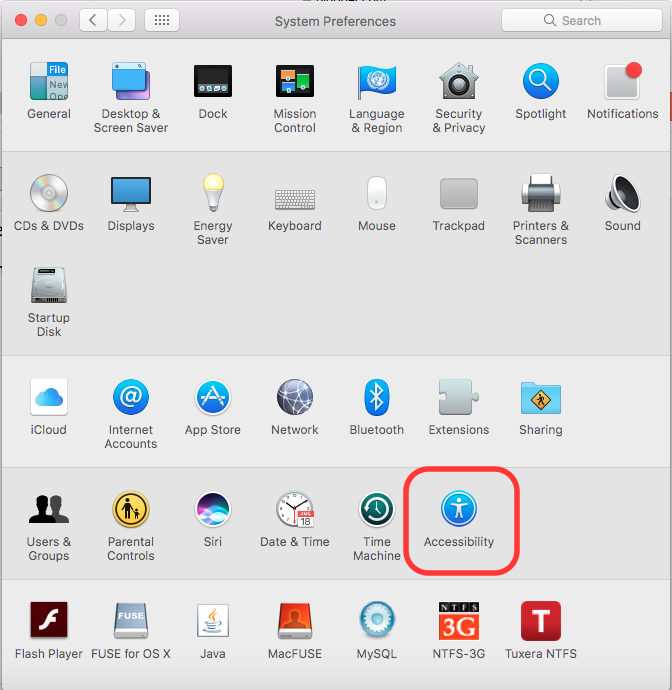 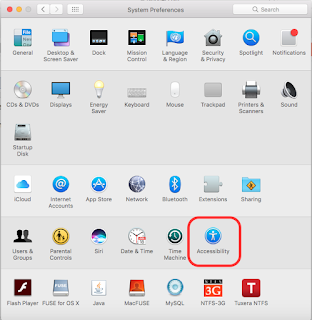 Open 'System Preferences' > Click 'Accessibility' . 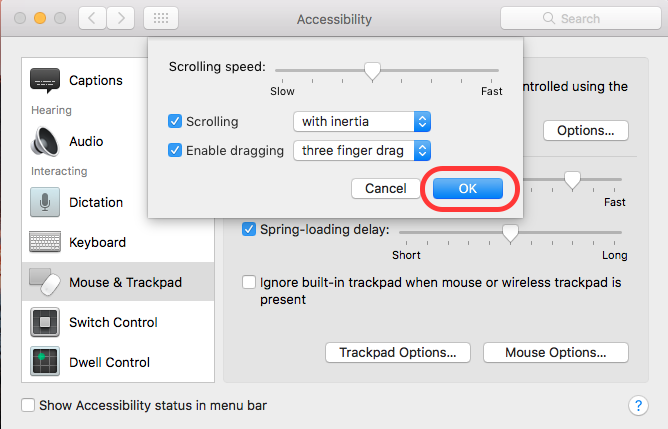 Click 'Mouse and Trackpad' > Click 'Trackpad Options...' . 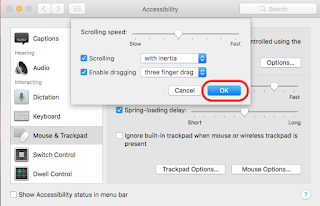 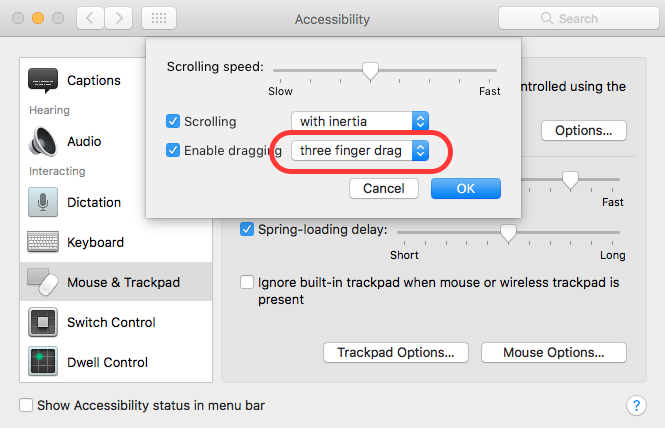 'Enable dragging' > From the drop down menu select 'three finger drag'.